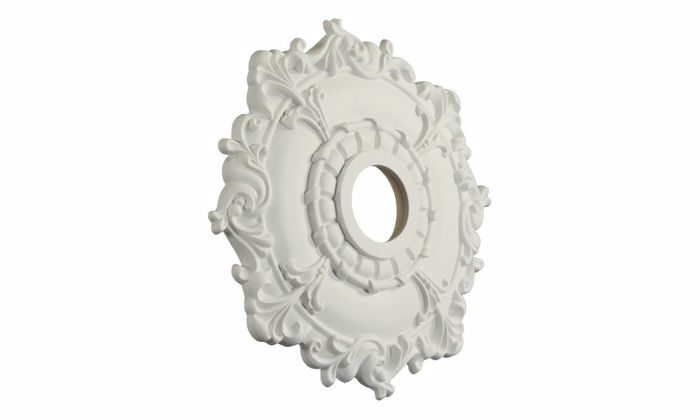 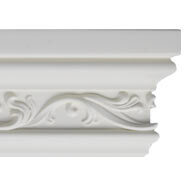 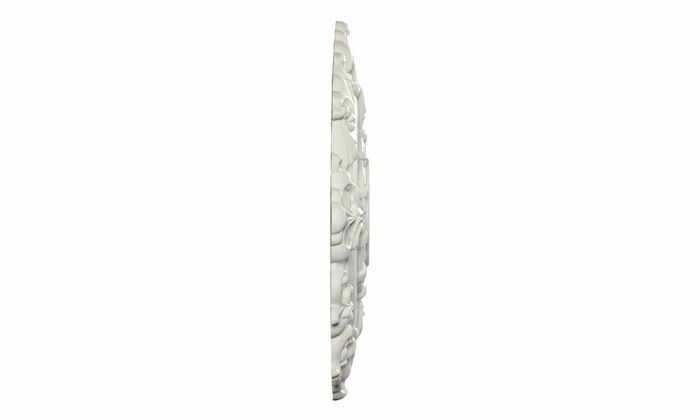 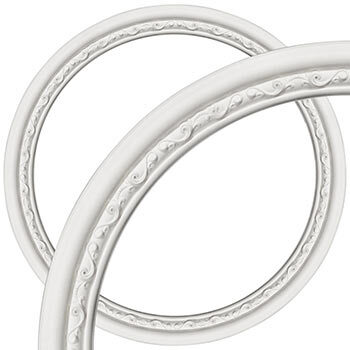 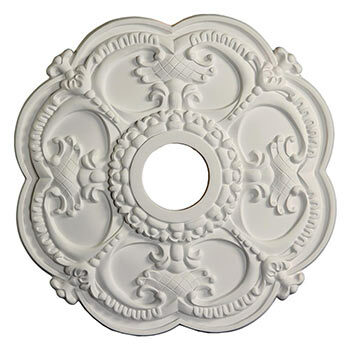 The MD-5097 Ceiling Medallion is 18" in diameter and has a depth of 1-3/4". 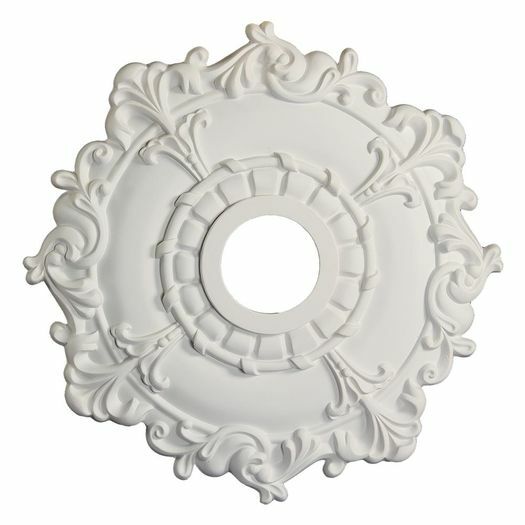 The ceiling medallion was prettier in person than in the picture but what I will remember most is how nice everyone was on the phone and in expediting our delivery. 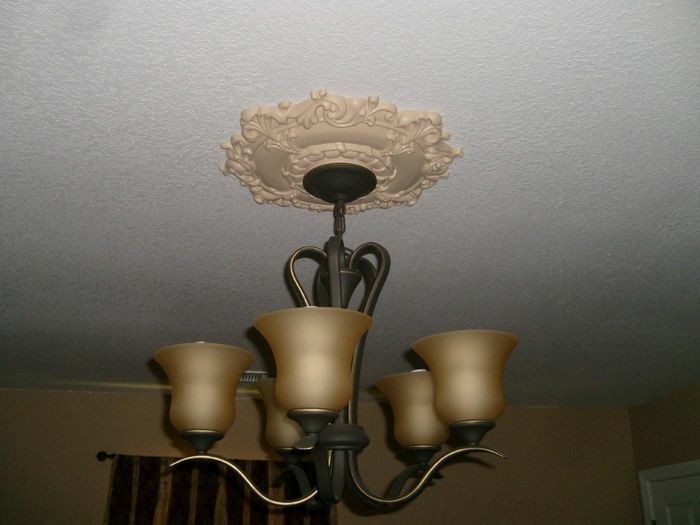 I will use this company again should the need arise.